Bradford risers FLING are impossible to ignore. 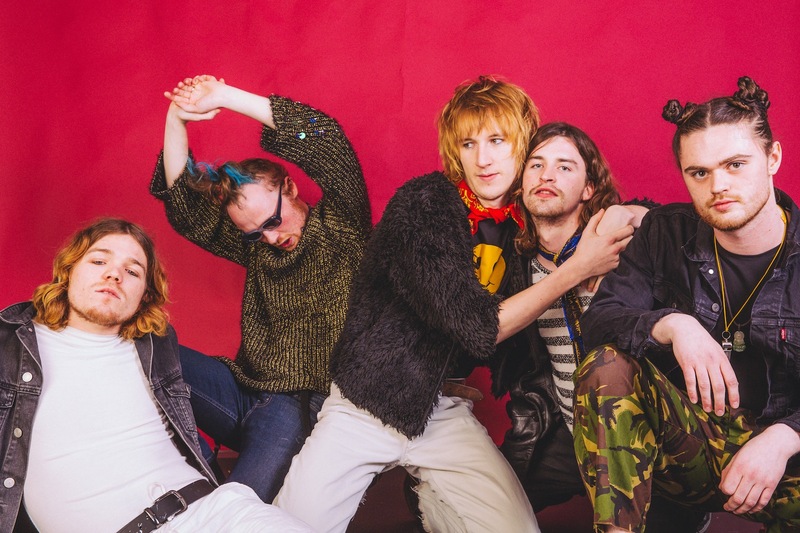 Snapped up by Dance To The Radio, their lucid, often outrageous psychedelia breaks about every rule going. Working with Lee Smith and Jamie Lockhart at Greenmount Studios, debut album 'FLING Or Die' will be released on February 22nd via Dance To The Radio. It's set to be a big year for the group, with FLING set to play some of their biggest headline shows to date. New single 'Je T'aime' is a wistful piece of glam pop with some psych edges, a kind of gritty Northern equivalent to Marc Bolan if he'd retained his fairy-tale whimsy.